We are here to make your life easier, whether you are a general contractor looking for a competent sub-contractor; or you are a corporate purchasing agent with special specifications to fill; or you are an architect or business executive. We will be delighted to answer your questions, and especially willing to demonstrate how we succeed in business without trying your patience, your budget or your good will. We are a family owned business which began serving the retail and general business sectors in 1941 as Merrimac Rug and Linoleum Company. 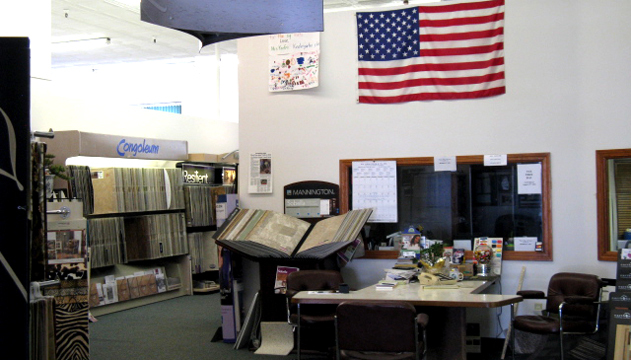 We are the professionals who perform and supply the contract market with carpet, draperies, upholstery, flooring, ceramic tile, shades and blinds, matting and specialty accessories. We service what we sell including carpet cleaning services, repairs and maintenance. We also have a highly qualified upholstery, matting and drapery workshop. We have been just a phone call away for the last 70 years and we look forward to serving you in the future.